Annual event that your child’s birthday party is, ensuring that everything is perfect and things happen exactly as planned without a hitch is probably the best gift that you can give to your child. Since your child is likely to have high expectations from you on this particular day, it is imperative that you must have the entire day planned down to the last detail. Of course things can go wrong once the party gets rolling but bearing in mind certain dos’ and don’ts would minimize the chances of a fiasco. Do keep your child involved – Right from preparing the invitees’ list to games and menu you must make it a point to involve your child by asking him/her for an opinion. This would not just provide the child with a feeling of importance but also act as an assurance that the birthday party will be as per his/her liking. Double checking the names on the list with your child and giving him/her the freedom to make a suggestion would also save you the hassle of second guessing as to whether your planning is on the right track. Do time it as per children’s routine – The time that you set for the birthday party should be compatible with the age group of children that are likely to attend. Ideally it should be scheduled for mid-morning or afternoon and wrap up by early evening before it gets dark. Do provide specific information – Providing specific information on the invitation card is one of the best ways of ensuring that the birthday party turns out to be exactly as per your child’s imagination. This information must conform to the theme of the party – for example invitation cards for a swimming pool party must instruct guests to bring their swimming costumes and those for an adventure hike must inform them to arrive in appropriate clothing and footwear. Don’t be too rigid – Owing to there being children, there is likelihood of things falling out of schedule, especially when it comes to games. In case, the game is that of elimination and stretches beyond the stipulated time, what you can do is plan fillers to keep the other children busy so that they need not stand around with nothing to do. Don’t avoid outsourcing – Since you are likely to bear most of the responsibility of hosting a birthday party, chances are that you are bound to feel overwhelmed and exhausted. So how about outsourcing a few of the tasks like ordering a cake and asking a party organizer to decorate the venue? Not only will this enable you to spend more time with your child on his/her birthday but also ensure that everything is as perfect as can be. After all, your child’s birthday does come only once a year and this is reason enough to render it memorable in many small ways. 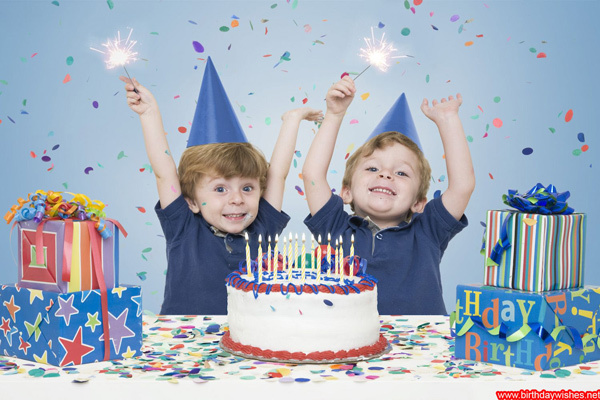 By bearing in mind these dos’ and don’ts, you will have made your child’s birthday as special as possible while retaining the important elements of fun and proper planning.